Do you have a new maintenance manager and want to make sure they are operating your pool safely? 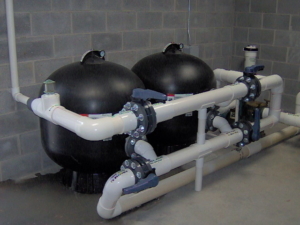 Consider having a tech come to your commercial facility and do a Pool School them. In just an hour or two we can go over how to use your pool equipment properly, setup your automation or phone apps, teach you about chemistry, and more. You can never have enough knowledge about your pool, a Pool School is a great start. With today’s technologies the sky is the limit to what you can do at your pool. Want to monitor or even backwash your pools from your desk? We can help make this happen. Even the most simple tasks can take a lot of time, with automation you can reduce or even eliminate the amount of time you spend on your commercial pool management each day. If repairs are done, the $89.99 will go towards the repair.